Authentic Quick-Seared Carne Asada Recipe: Learn how to cook Carne Asada in a skillet for a fast healthy low carb meal! I know, I know… Cinco de Mayo is celebrated more in the United States than it is in Mexico. And I realize it’s just an excuse for us to party with margaritas and queso dip. Yet as far as I’m concerned, any holiday worth celebrating should involve lively music and good food, so Cinco de Mayo has got my vote. 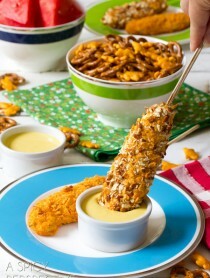 All week I’ve got Mexican-inspired recipe for you, to help with the festivities. Today we’re starting with an all-time favorite, Carne Asada Steak. An authentic Carne Asada recipe usually consists of a heavily seasoned marinade and a slab of skirt steak or flank steak. The steak soaks in the marinade for hours to absorb the flavors. Then it is grilled and sliced to serve as steak tacos, on salads, and on traditional Mexican platters with rice and beans. However, there are times I want to make Carne Asada, but don’t have time to wait around on the marination process. I mean, I can’t be expected to plan a day ahead every single time I’m craving good Carne Asada tacos, right? This Quick-Seared Carne Asada Recipe is my solution to eliminate the long wait-time for Carne Asada seasoning. 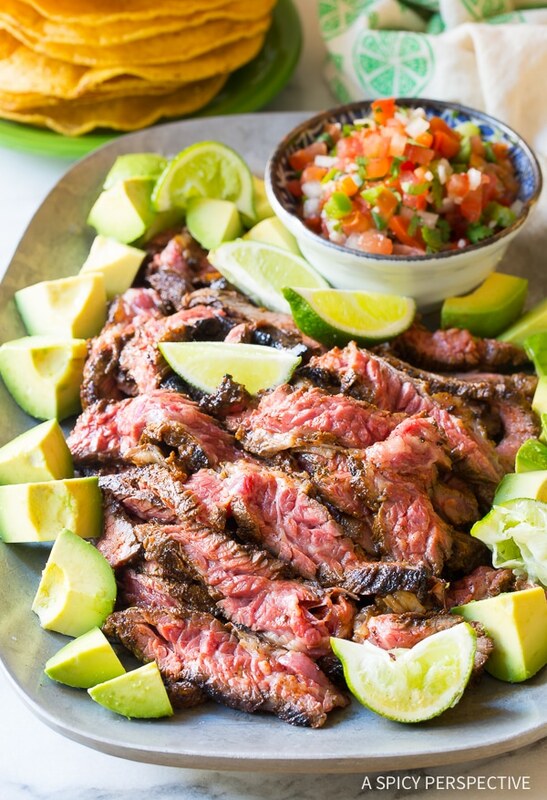 There are two major tweaks to this recipe that allow you to marinade the steaks rather quickly and still end up with tender, perfectly-seasoned Carne Asada. First, concentrate the marinade to intensify the flavors. I used a blend of fresh lime juice, fish sauce, ancho chili powder, garlic, cilantro, and habanero chiles to provide the vivid flavor palate. Second, use a fork to poke holes over the entire surface of the steak to allow the marinade to penetrate the meat in a shorter amount of time. 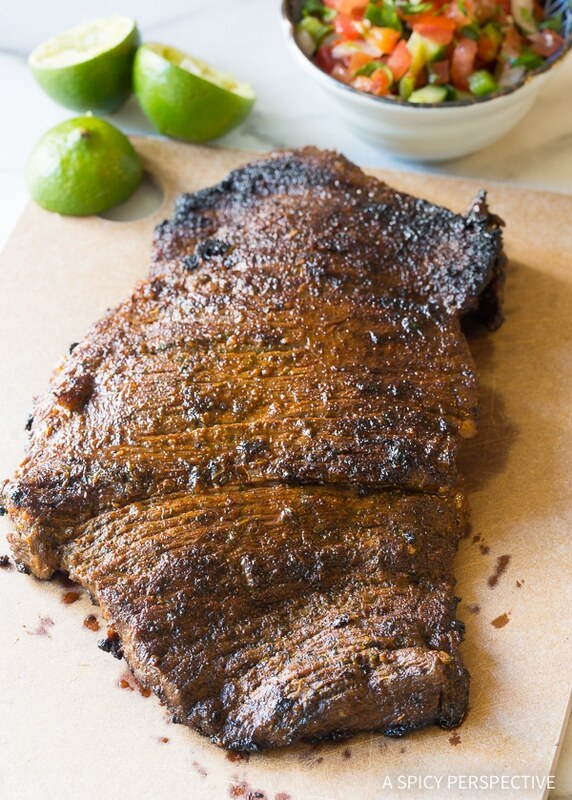 That’s it… Pores in the meat and a powerful marinade equal traditional Carne Asada flavor in a hurry! Just pour the marinade over the pitted skirt steak and let in sit for a few minutes. 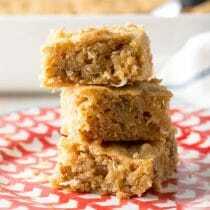 In the time it takes you to heat your skillet and wash out your food processor, the marinading process in done. 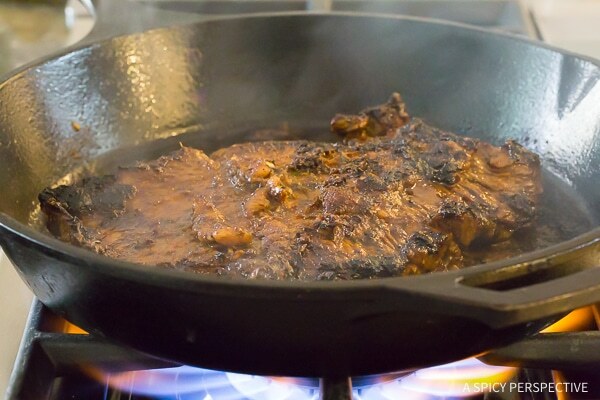 After marinading your skirt steak, heat a large cast iron skillet to high heat. Make sure the skillet is long enough to allow the skirt steak to lay flat. 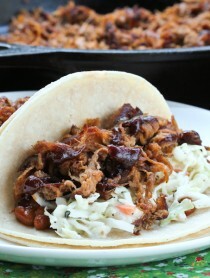 If you don’t have a skillet that large you can use a griddle or grill pan. Add a little oil to the skillet. Once the oil is piping-hot, lay the steak in the skillet and sear for 3 minutes per side, for a medium-rare interior. Allow the steak to rest at least five minutes after cooking, so the juices can redistribute. Otherwise, all the juices will run out when you cut into the steak. Cut the skirt steak against the grain, into thin strips. This Quick-Seared Carne Asada Recipe creates perfect pink meaty goodness with a spicy crust around the edges. I’d call that Carne Asada at its finest! 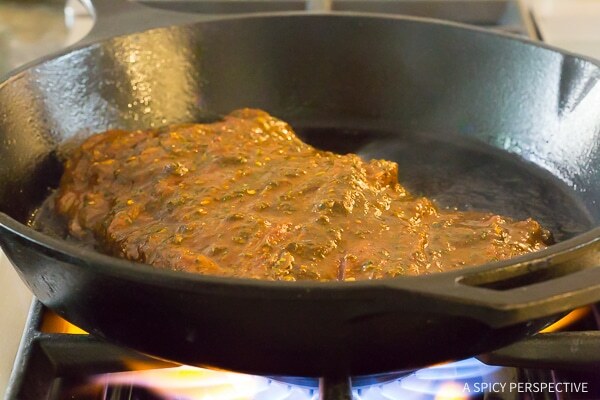 Quick-Seared Carne Asada Recipe - How to Cook Carne Asada in a Skillet. Don't waste time marinating steak for hours. 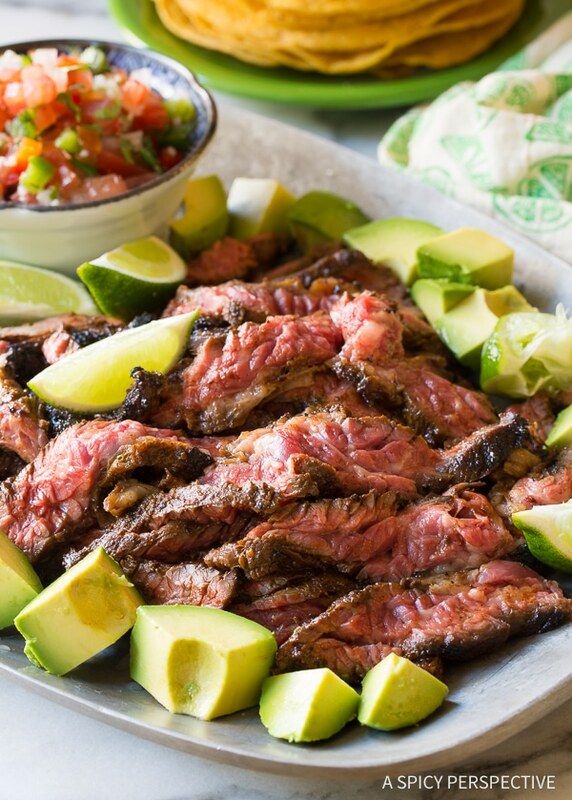 This authentic Carne Asada steak preparation will speed up dinner without sacrificing flavor! 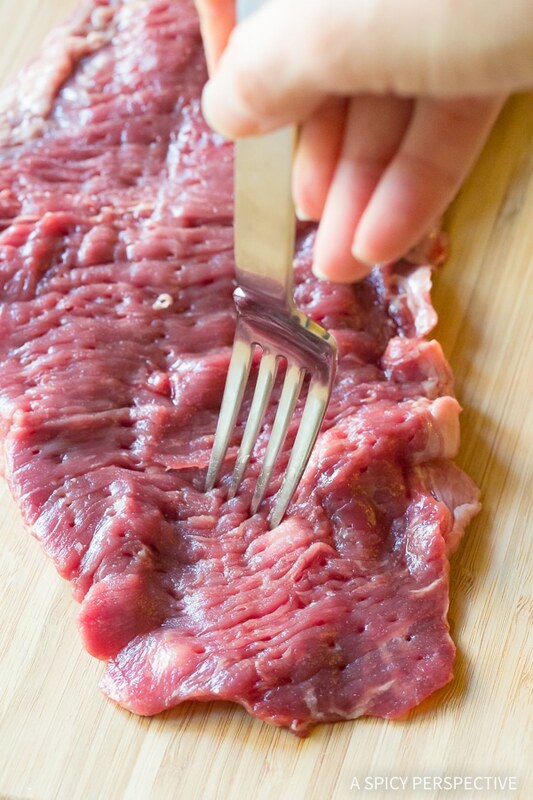 Use a fork to poke holes in the skirt steak, covering both sides. Place the lime juice, brown sugar, cilantro, 2 tablespoons olive oil, fish sauce, ancho chili powder, garlic, habanero, cumin and salt in the food processor. Puree until smooth. 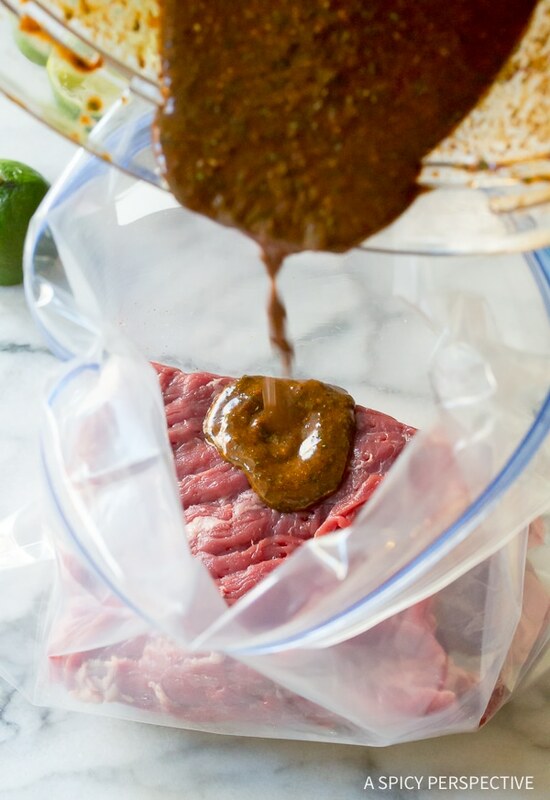 Place the skirt steak in a large zip bag. Pour the marinade over the steak. Zip the bag and shake to coat the steak on all sides. Let the steak rest at room temperature for at least 15 minutes. Heat an extra-large skillet over high heat. Add the remaining tablespoon olive oil to the skillet. Once hot, sear the steak for 3 minutes per side. Let the steak rest for at least 5 minutes, then slice against the grain into thin strips. 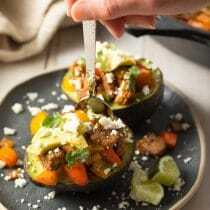 Serve with avocados and pico de gallo, or on a salad, for a low-carb meal. Or serve in tortillas for amazing Carne Asada tacos! Mmmm! 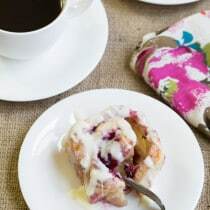 My husband has been asking me to make these for a while now, but I wasn’t sure where to even start! Thank you! This is so juicy, flavorful and cooked to perfection. 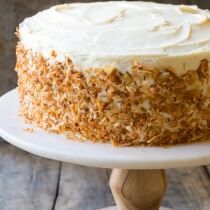 Thank you for the amazing recipe! 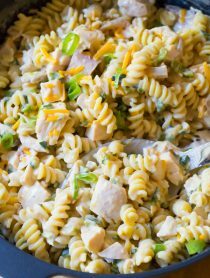 This sounds so tender and flavorful! Such a great tip about letting it rest. 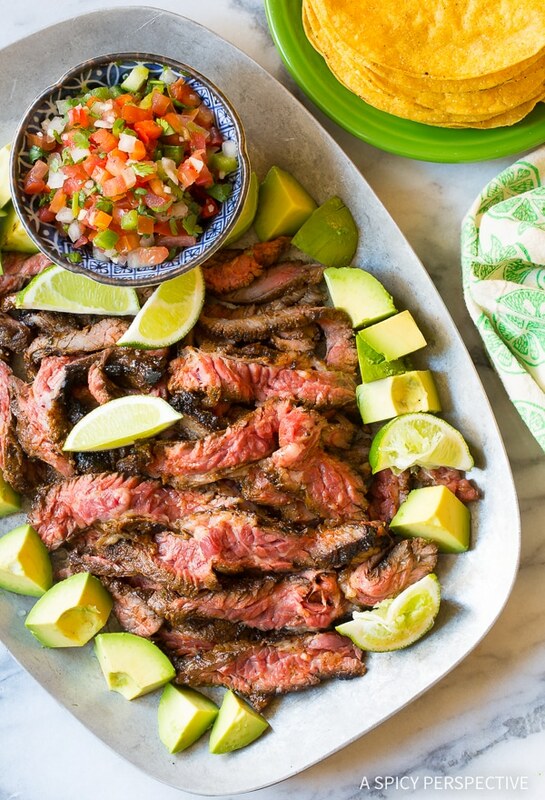 This carne asada is bursting with flavor – so delicious!